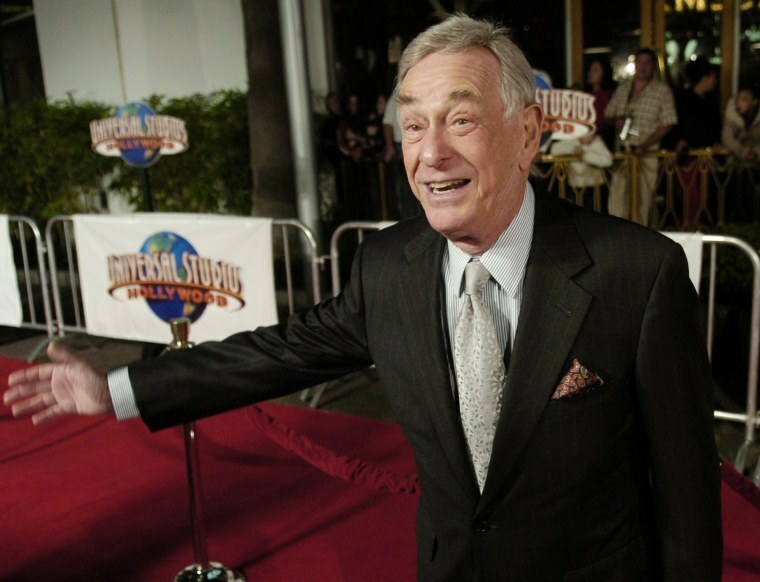 LOS ANGELES — Famed stand-up comic Shelley Berman, who recently played Larry David's father on "Curb Your Enthusiasm," has died. He was 92. Berman died early Friday morning due to complications from Alzheimer's Disease at his home in Bell Canyon, Calif., his publicist confirmed to Variety. The Grammy winner and Emmy-nominated actor was one of the most successful stand-up comedians of the 1950s and '60s. His 1959 live record, "Inside Shelley Berman," was the first comedy album to be certified gold (with more than 500,000 sales) and was the first non-musical recording to win a Grammy Award. Two other albums, "Outside Shelley Berman" and "The Edge of Shelley Berman," also went gold. Berman was the first stand-up comic to perform at Carnegie Hall. He appeared on "The Ed Sullivan Show" more than 20 times and was a guest on shows hosted by Steve Allen, Jack Paar, Dinah Shore, Perry Como, Andy Williams, and Dean Martin. Berman appeared as Nat David on HBO's "Curb Your Enthusiasm" between 2002 and 2009, and received an Emmy nomination in 2008. He retired from performing in 2014. Berman broke into show business in 1943 after his discharge from the U.S. Navy and enrolled at Chicago's Goodman Theatre acting school. One of his routines involved portraying his own father when the then-18-year-old Shelley called home to ask for $100 for acting school. While at Goodman, he met Sarah Herman and they were married in 1947. Berman worked a series of summer stock and odd jobs, and eventually sold a sketch to Steve Allen for his "Tonight" show. Through Martin Landau, Berman got a gig at Chicago's improvisational Compass Players group, working alongside Mike Nichols and Elaine May, where he began to develop his famous phone-call routines. In 1962, Berman participated in NBC's documentary-style television show "Comedian Backstage," where cameras followed him as he prepared for and performed his nightclub act. The cameras caught Berman becoming angry when a telephone backstage started ringing during his act, which dimmed his popularity for quite some time. Berman appeared in the 1964 film, "The Best Man" with Henry Fonda, in addition to "Peter Gunn," "The Twilight Zone," "Rawhide," "Bewitched," "The Man From U.N.C.L.E.," "The Mary Tyler Moore Show," "Adam-12," "MacGyver," "L.A. Law," "Friends," " The Bernie Mac Show," "Grey's Anatomy," "Entourage," and "Hawaii Five-0" in 2012. He made numerous recurring guest appearances as the semi-senile Judge Robert Sanders on "Boston Legal" between 2004 and 2008. Berman said in his introduction to his 2013 poetry book, "To Laughter With Questions," "I have always written. As a kid growing up in Chicago, I wrote stories for my own amusement. Along the way, I read and appreciated poetry, but never really tried my hand at writing it until late in my 'other' career, teaching writing in USC's master of professional writing program." Berman taught at USC for more than 20 years. He also volunteered at the Motion Picture & Television Fund in Woodland Hills, Calif., teaching a poetry class. His class was documented in the 2007 short film "It Ain't Over 'til It's Over." Berman is survived by his wife of 70 years; his daughter Rachel Berman; and two grandsons.